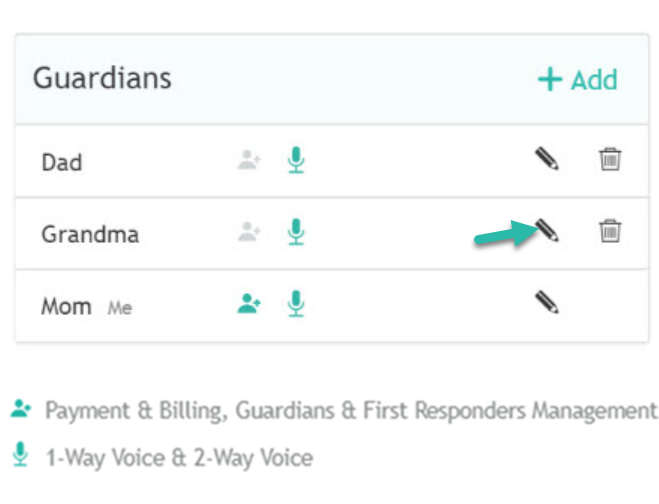 Primary Guardians can edit which Guardians are authorized for calling the device. On GPS 1, only two phone numbers can be authorized at one time. On GPS 2, there is no limit on how many phone numbers can be authorized at one time. You can verify who is authorized and edit authorization from your app's Menu. 1. Go to your Menu on the left hand side and click "Settings" and "Guardians"
2. Those who are authorized to call your device will have the microphone icon next to their name highlighted in green. 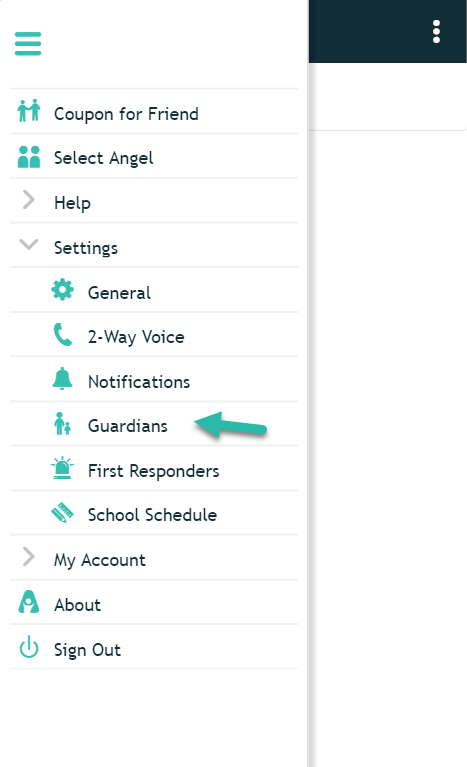 In order to edit their authorization, click the pencil icon to edit the Guardian. 3. 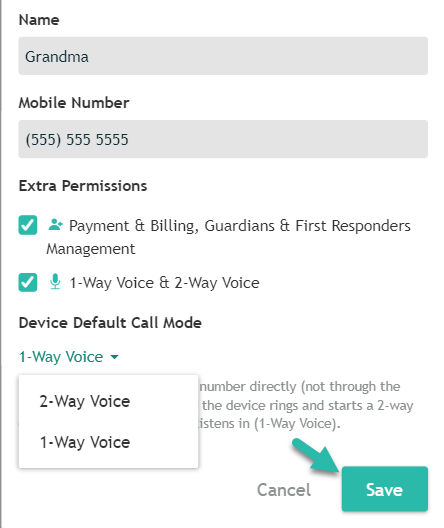 Check the box with the microphone to authorize for 1-Way Voice (Listen-In) & 2-Way Voice (AngelCall) to give authorization to call your device. You can uncheck this box to remove authorization to call the device. Then, "Save" your changes. 4. 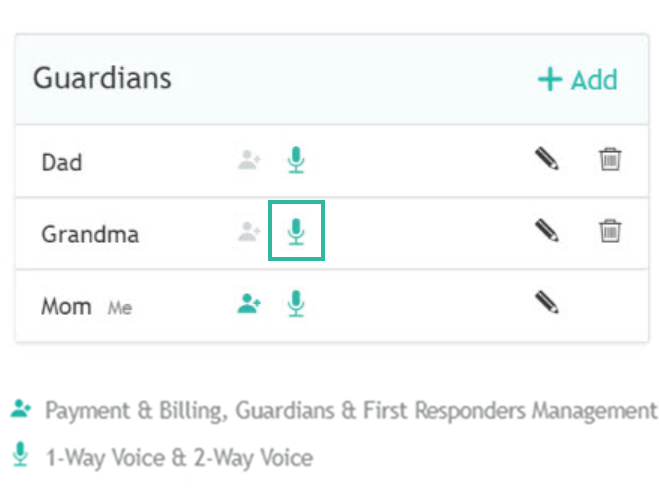 This Guardian is now updated with authorization to call the device, as shown by the microphone icon being highlighted.